Have you ever looked at a newspaper and thought I wonder what that would look like in a web design, or I wonder how I would go about coding that out? Well, I have put together a showcase of the top 10 Free newspaper and magazine WordPress Themes to transform your blog. These themes all look fairly nice and you can customize them exactly the way you like. 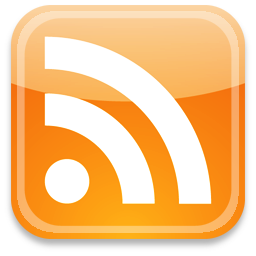 Some of them you will need to download certain plug-ins that run alongside the theme. 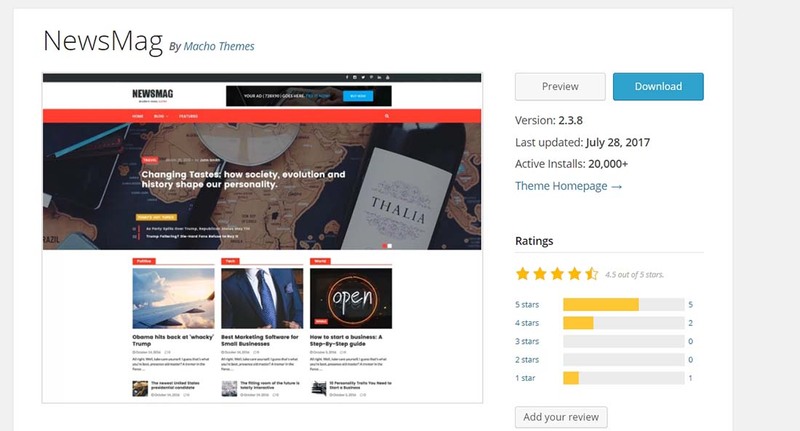 Let me know what theme you like best, and if you have found or are using any other newspaper and magazine styled WordPress themes on your site I’m sure we would love to hear it. P.S. Looking for some premium magazine themes as well? The first example is a clean and neat WordPress theme that could be used for a magazine site. It has an eye-catching web design layout, a solid framework built on newest bootstrap technology and tons of great features you do not usually find in free themes. It also has a full-screen slider which you could use to showcase brilliant photos of your brand. With its refreshing design, this theme can be of great use. Or you could see how you feel about this free Myst theme. This is a nice minimal magazine WordPress theme. It is suitable for magazine sites or tutorial sites. The large featured images on the index page make it even an ideal photo blog theme. With pixel perfect design for one page WordPress theme, Shapely could be the perfect theme for you. You have many customization options and even several homepage widgets that can be used to add portfolios, parallax sections, and many other things. It is also a responsive theme that will look great on any device. 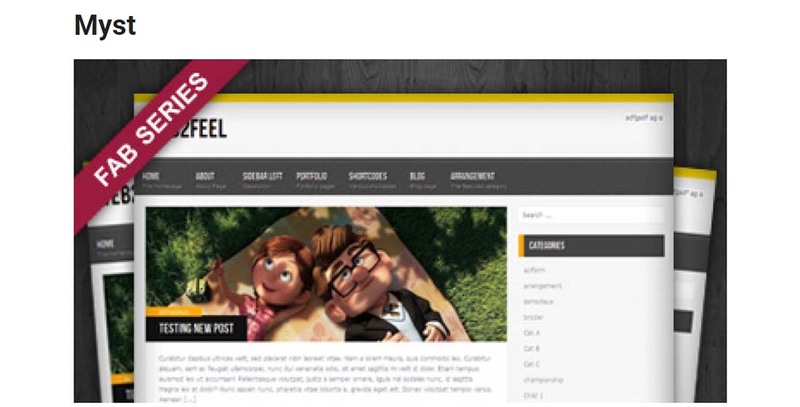 Feel free to have a look and see if this is the WordPress theme you’ve been trying to find. 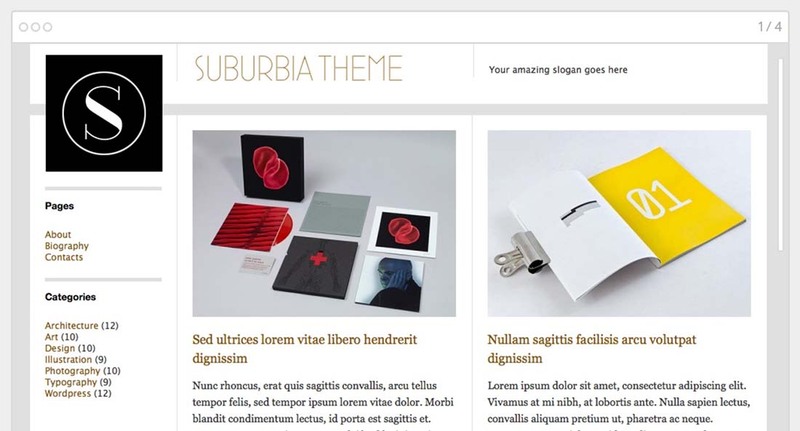 Suburbia is a free premium WordPress theme for magazines. The layout is very clean and flexible and designed in a modest and minimalistic style. 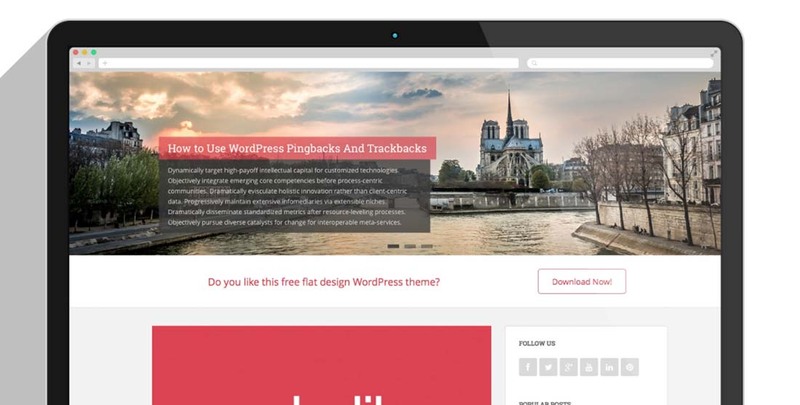 Feel free to have a look and see if this is the WordPress theme you’ve been looking for. Accentbox is a free theme. 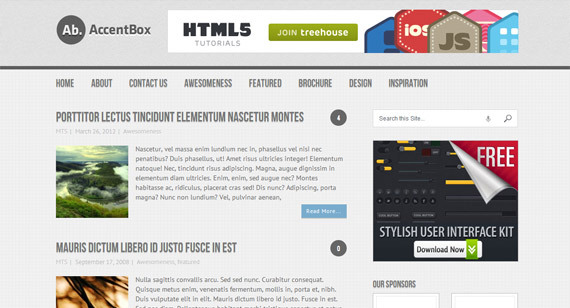 This HTML5 theme is made fully responsive to make sure your blog looks awesome in any case. It comes with unlimited color schemes and two Flexible Homepage layouts to keep your readers hooked to your blog! If the previous theme was not what you were looking for, then maybe this one will suit you better. Activello is a vibrant well-structured and designed WordPress theme. It is intuitive and easy to be navigated and needless to say, a responsive theme that can be of great use in the future. This example is one that could be adapted to every necessity as simple or as complex as it may be. 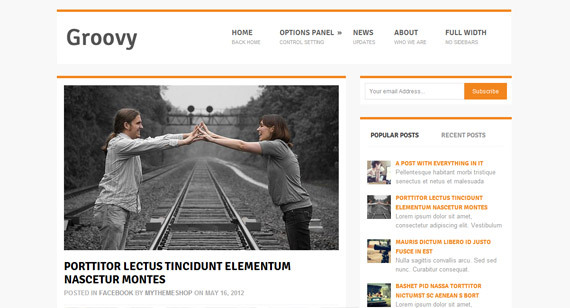 Groovy is a beautiful, magazine styled WordPress theme. Groovy is built for bloggers who want a clean, elegant magazine WordPress theme for their blog to maximize page views, ad revenues and create the best user experience possible. 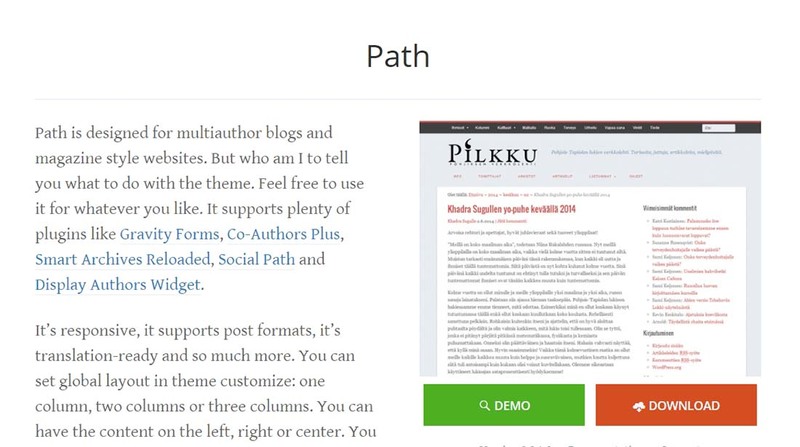 Path is designed for multi-author blogs and magazine style websites. It’s responsive, it supports post formats, it’s translation-ready and so much more. You can customize this theme in many ways. You could have one column or 2 or more or you could present content on the left side of the page or someplace else, it does not matter, it is for to choose. If you’ve been looking for an easy to use yet highly resourceful user-friendly template then you might want to have a look at NewsMag Lite. This example is highly responsive and free and can be easily used for an online magazine, but not only. Customizable and suitable for all sorts of magazines, this theme offers a collection of helpful premium quality features, powerhouse tools that can not be easily found in free themes. It also has a dynamic slider option, endless fonts, custom color combinations and so much more. 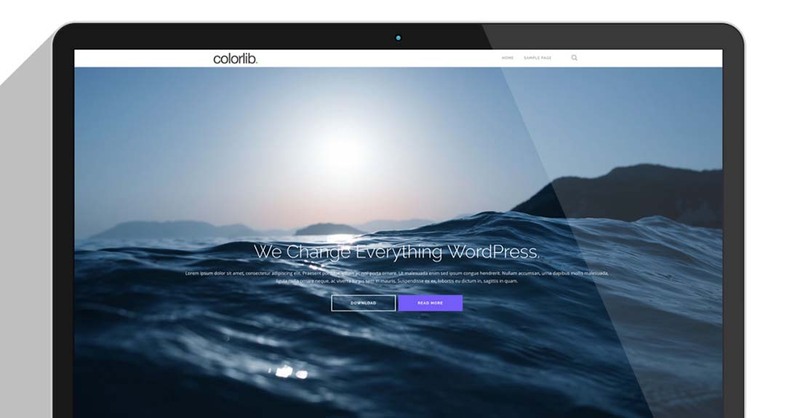 This WordPress theme opens many possibilities for good quality design. Last but not least, Newspaper X focuses on media, communications, and news making it a perfect theme for a magazine website. It has a Bootstrap framework and an integrated advertisement banner management. This WordPress theme can make your pictures and text pop up as it uses a layout that arranges each post in a clean and versatile concept, using grids. Every change can be done with WordPress Customizer. Path is wonderful. I’ll try it on my blog.